Asia Cup 2018 has remained so fortunate for the Indian cricket team, which not only won the tournament but also explored a gem in the form of Rohit Sharma’s captaincy. While India has proved itself the finest cricket team of Asia, fans are divided on now who should lead the team. Indian fans were disappointed when they came to know that Virat Kohli was playing Asia Cup 2018. But, they finally got compensated when the team won the tournament under the captaincy of Rohit Sharma. After India won tournament’s final against Bangladesh, fans started coming up with social media posts praising Rohit’s role in making his team make such a big achievement. And, his fans and supporters were coming with different facts to prove what Rohit was capable of achieving. Fans didn’t simply praise Rohit for his leadership skills and his being such a good batsman who continuously gave 50 plus average. They also called out comparisons between him and Virat Kohli. And, those analogies were not limited to Kohli or Virat only rather they also dragged MS Dhoni and even Saurav Ganguly. In fact, Indian fans were hell-bent on making analyses and giving their two cents on the situation. 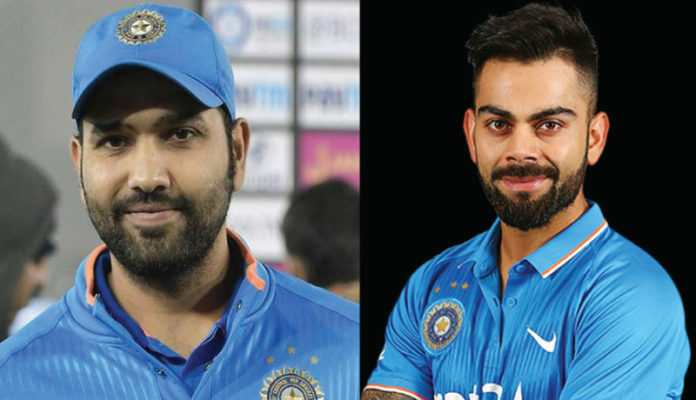 Their posts were not simple analogies between Rohit and Virat’s abilities, in fact, they were in the form of some hilarious memes. And, As far as Kohli is concerned his every life, the event is turning into a meme since virushka wedding. Even this time Indian fans couldn’t skip using Virushka to make their Kohli trolls more creative and appealing for the social media audience. It is not sure if Rohit’s successful captaincy has really alarmed Kohli and he has started sharing his concerns with his wife or not, but this social media user definitely thinks so. Fans were also of opinion that real test of Rohit Sharma’s captaincy will be his performance against big teams, as India still needs Kohli to win against the Cricket giants. Anushka Sharm who is busy in the promotion of her upcoming film Sui Dhaga has already given fans meme of the year. So, Kohli should pay attention to cricket and return back to cricket with more zeal, by knowing that Indian cricket fans have already found his replacement. Finding another skipper in the form of Rohit Sharma is good for Indian cricket team as it can have more players capable of leading the team in major tournaments.